A Deal to Save The Hermitage? 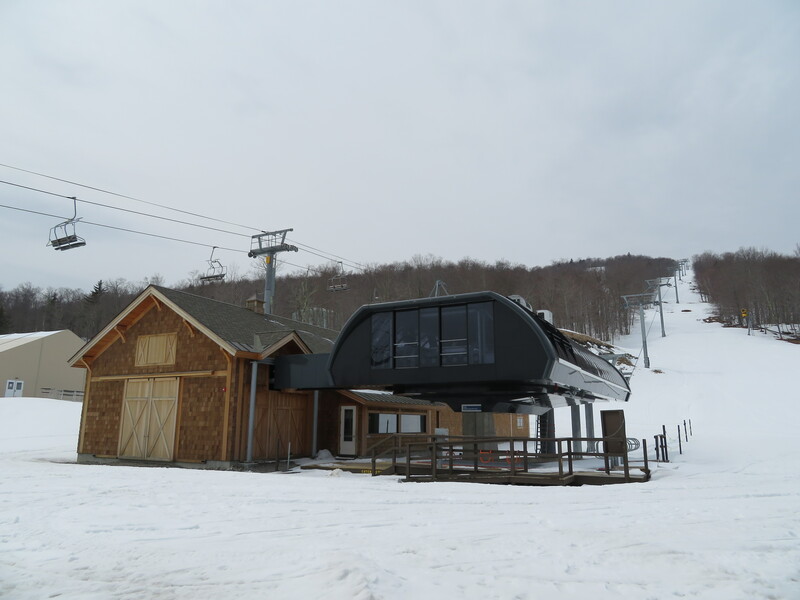 Five chairlifts currently sit idle at the Hermitage Club, the subject of foreclosure action in southern Vermont. 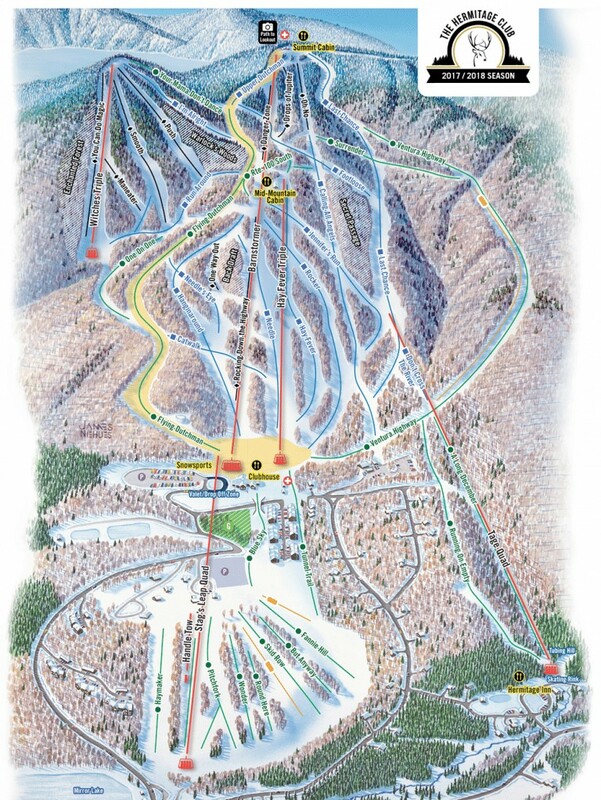 Restructuring could resolve what is currently the nation’s largest ski resort foreclosure case, according to a report from the Brattleboro Reformer. Jim Barnes, founder of the financially-troubled Hermitage Club, sent an email last night informing members of two important developments. First, the Club has secured a bridge loan to maintain key staff working toward a restructuring with Berkshire Bank and other creditors. Secondly, a nonbinding term sheet has been signed with Oz Real Estate to provide new capital to the ski and golf resort. “The potential transaction with Oz Real Estate contemplates the club’s debt with Berkshire Bank to be restructured or bought out,” Barnes wrote. The bank is owed more than $17 million while a foodservice distributor is out more than $1.5 million and a hotelier $1.2 million along with others owed smaller amounts. Oz is the parent company of Ski Resort Holdings LLC, which bought 14 major ski resorts from CNL Lifestyle Properties in 2017. Most of them were sold to Boyne Resorts, Vail Resorts and other operators over the past year. “Oz Real Estate invests in both opportunistic real estate private equity and real estate credit in the U.S. and Europe,” the firm says on its website. “Founded in 2003, Oz Real Estate has raised approximately $3.8 billion of dedicated real estate capital and completed more than 107 transactions across 19 diverse real estate asset classes.” Mr. Barnes also named a new Club President, Harper Sibley. The Hermitage is currently closed under a court-ordered receivership with FTI Consulting on site maintaining assets. “The primary goal of the Hermitage Club is to close this restructuring and prepare for a successful 2018/2019 fall and winter season,” Barnes stated in his email. “The proceeds from the restructuring will provide the means to settle claims and disputes that have arisen due to the lack of cash flow from closed club operations.” Nonbinding is a key word and the Club made a similar announcement about $26 million in possible funding from an unidentified financial company on April 30th. It’s unclear whether that deal was to be with Oz or a different outfit altogether. Berkshire Bank assistant vice president and marketing officer Heidi Higgins told the Reformer the lender is “not in a position to talk about this specific instance due to privacy and legal concerns.” Nonetheless, the news is a sign Mr. Barnes and his staff continue to work hard toward a resolution four months from ski season.